Showing results for tags 'battlers'. 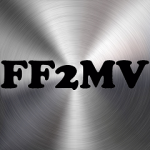 I am a fan of Final Fantasy games and I also like the RPG Maker MV engine. That's why I decided to import Final Fantasy Brave Exvius battlers to RPG Maker MV with the help of Yami Sideview plugin. I did this to see how would "our heroes" look in this engine and to deepen my knowledge on action sequences. I have made several videos until now (and I am planning to do more), which you can view here. Any opinion is appreciated. Thank you! Hi there everyone, I'm Scythuz! You might already know me for my music and sound design work, I'm now branching out into doing pixel art too. Hiring me means bringing vibrancy to your game, whether that means recreating an existing style or creating something completely new. I will be charging an introductory price of $10 per hour for all of the services on offer in this shop, please bear in mind that you will (with very few exceptions) need to pay a minimum of $10 regardless of how small the work is. Making sure to order the right amount will be important if you want to get the best value for your money. Since the work will be done on an hourly basis, prices will depend on: size, detail, the amount of colours used and complexity. For example, a 16x16 monochrome sprite is going to cost a lot less than a 48x48 sprite. If you are unsure about anything, just ask. Here are some examples of what I can do, please feel free to send me a message if there's a type of asset you want that isn't listed here, I might still be able to do it. Tiles: Characters: Icons: Large Weapon Sprites: Monster Sprites: Various recent works: All payments will be made via paypal, in US Dollars or Pound Sterling. References are highly encouraged! You will be expected to have permission for any edits or recreations you want me to do for you. I reserve the right to refuse any commission I am not comfortable with. Ayyyye people, you ever wish you too could have amazing side battle monsters? Tired of the default? Drowning in over used art? if you answered yes to any and all questions then I Inazuma the lightning may have something for you! Here on the Zuma farms, we take care of our pixels raising them from the time they were small until they are big enough to leave home and start adventuring in your game! Need a harpy? No problem! How about different kinds of slimes? order and your wish is my command! how about a seven head fire, ice, and poison breathing hydra that is every colour of the rainbow? Sure but that is going to cost you! come on down to my neck of the woods and see what I can do for you! Today while doing Battle Tests I encountered an error message reading "Unable to find file: Graphics/Battlers/Slime-Spritesheet" while running a basic battle with the default Slime battler. The strange thing about this is, it was working fine last night. This error occurs with every enemy in the database. While under the Enemies tab I can select battler pictures from my resources and the image appears fine. The image even appears correctly under the Troops tab. The issue is with Battle Tests. I figured this problem was from a script I installed last night called Animated Enemies by Rhyme. Battle Test worked fine last night, with custom battlers and default characters.The script wasn't making any difference though so I removed it. Now, with the script gone Battle Test don't work anymore. Things I've tried but still encounter the issue with: 1. Removing all battle related scripts 2. Adding a custom spritesheet named Slime-Spritesheet under Graphics/Battlers If anyone has any ideas how to fix this, please let me know. Any suggestions would be greatly appreciated! Hi! I'm making a game and would like to make my own battlers! How would I go about making a Battler? so this is Ray and Jack Groves, two of the main characters of my game... using a script that shows them like this (XP Style) during battles. what do you guys think? Hi guys! I am working on an rpg, and some friends where asking if I'd show them how I was doing some of the stuff I've been doing for the game. So I thought I'd record them and make a little tutorial of my workflow. I'm not the best at this, I've never made tutorials before so I'm learning as I go, but I'd love to share them wit you guys if you're interested. The audio isn't very good in the first two, but the 3rd and 4rth are much better, and I'll continue to provide more from here on as I progress on my own project. BATTLE BACKGROUND 1 - BATTLE BACKGROUND 2 - https://www.youtube.com/watch?v=zsm5Cwsds_g RATLING BATTLER 1 - RATLING BATTLER 2 - I'll do more later, if there is anything specific you'd like to see let me know and I'll try to touch on it. Thanks for looking! Also, here are some of my old tiles if anyone is interested in them. Feel free to use them in your projects, even projects you plan to sell. Just put me somewhere in the credits! And maybe give me a free copy if you can? http://www.newgrounds.com/art/view/hyptosis/ff6-recreated http://opengameart.org/content/lots-of-hyptosis-tiles-organized http://opengameart.org/content/lots-of-free-2d-tiles-and-sprites-by-hyptosis http://opengameart.org/content/mage-city-arcanos http://www.newgrounds.com/art/view/hyptosis/sprites-and-tiles-for-you http://www.newgrounds.com/art/view/hyptosis/tile-art-batch-5 http://www.newgrounds.com/art/view/hyptosis/tile-art-batch-3 http://www.newgrounds.com/art/view/hyptosis/til-art-batch-2 http://www.newgrounds.com/art/view/hyptosis/tile-art-batch-1 http://www.lorestrome.com/pixel_archive/main.htm << ignore the disclaimer, I need to update the site, everything on this link is free to use too! battlers I'd like to see what you guys think! So recently we've started creating battlers for my game. Well actually, Lisa Windels created all the battlers, all credit goes to her. What do you guys think? This is the first time she draws anything like this, and she got nearly no game experience. As the rules are stated: nobody may use these battlers, except if Lisa Windels gives permission for this. Here are some of the starting line up for "Honour of the Blue Oaks": I appreciate any critiquing. My topic relates to something I've been thinking about for the past week. The most common way to get money from ANY RPG was to kill enemies. Spiders, demons, zombies, bats, fishs, lions, thieves, <insert enemy>. Each and every enemy in anywhere had at least some currency on them when they breathe their last breath. I find this to be an easy way to import money gain in a game. However, I seen literally countless of Rpgs use this system. Some enemies do fit with gaining money from defeating them thieves, knights, zombies, anything human, basically). Some, however, not so much. (I killed a Wild Cactus Monster Thing that had as much money as my yearly salary) I don't hate this way of gaining money, on contraire. I like getting money this way. But i want a different way to incoporate money gain into Rpgs. I want to try something new, something unique... Here are some alternate ways of getting money I thought up. From remains of battlers (wolf fur, lion fang, knight's armor, etc), you can sell them off to gain money. By working on side missions, you gain money, and maybe even treasures to sell off for more money! By searching the land and dungeons, you sell rare items/minerals/etc and gain money. I guess my main question of this topic is: Will you be comfortable with a new way of getting money, or will you miss the old, hack and slash for cash way? Sorry I typed so much, but go on ahead and express your opinions on this. I want to know!